Debuting her first EP, Calgary-born Lowell has just released I Killed Sara V., a poignantly rebellious “pop” EP, much more than you’d expect of the genre.Lowell proves her range and versatility in the five tracks on the EP. “Cloud 69” is a punchy track that is just as aggressive as it is soft around the edges. 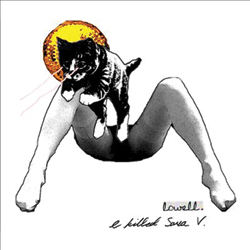 “The Bells” features sweeping vocals overtop of chirping bells, and the final track, “I Killed Sara V.” is a much slower, soft, piano track that really shows off Lowell’s voice.With Lowell’s politically charged lyrics — such as the title track’s, “Everybody knows that we can’t go down from here. And the kids in the wilderness never been stopped by the cops for the color of their skin”— I Killed Sara V. is much more than a typical pop album. All in all, I Killed Sara V. definitely deserves a place in your playlist. 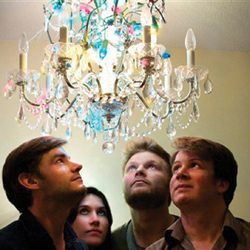 Alt-roots band from Vancouver, The Nautical Miles, just returned with their third full-length studio album: Ode to Joy. Overall, the album has a troubador-esque feel to it, which may be attributed to lead singer Corbin Murdoch writing the tracks during a six-month excursion through Colombia and West Africa in 2012. Even still, Ode to Joy demonstrates the depth of the group’s talent, with each track unique from the next. “Shadowside,” a darker and more alternative track on the album, is almost a coming-of-age tale told through a dark, rhythmic song. The next track, “Love’s Little Sister,” switches gears entirely to a beat-driven, high energy track. The last track, “The Lost Generation,” is a very folky track that ends the album with a strong, calm feeling. The Nautical Miles is an incredibly talented group, with plenty of diversity in their music. Ode to Joy demonstrates that perfectly. St. Vincent, the stage name which musician Annie Clark goes by, continues to put out albums with force with the release of St. Vincent, her fourth, self-titled album. Though described as baroque pop, nothing about this album will strike you as anything borrowed from times before. St. Vincent’s beautiful voice soars above tracks packed with electronic beats and lines that demand to be heard over and over again. “Digital Witness,” one of the singles from the album, stands out as a highlight. 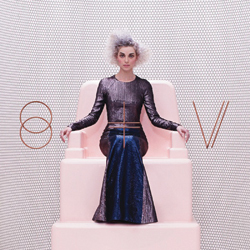 With Clark’s voice guiding through the pronounced, staccato verses beneath before coming together for a balanced, melodic chorus — very unique to St. Vincent. Calling “Digital Witness” a highlight, though, is a disservice to other tracks, such as “Birth in Reverse” and “Now Now,” which are the must-hears upon the first few plays of this album. St. Vincent shows off Clark’s musical chops and displays why she was just announced as a headliner for Sled Island.